This weekend marked the end of one of the most successful photography related campaigns in recent time on Kickstarter. 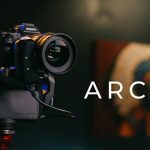 Cinetics – a company which started its way on Kickstarter a few years ago introduced the Axis360 – a modular motion control system for cameras and raised more than $666k – almost 10 times the project goal. Cinetics was founded by MIT engineer Justin Jensen who in 2011 created a kickstarer project called CineSkates – a gorillapod with skates for capturing video. The project was a big success raising almost half a million dollars (the original goal was only $20k). 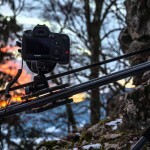 Since than the company released several other products including the CineSquid and the CineVise – both for holding cameras on different surfaces. the new project from Cinetics is a much more ambitious one. Axis360 is not just s stationery device for holding your camera, its a new robotic system for controlling your camera and creating motion over time for timelapse and videos. The video above from the kickstarter project for the Axis360 shows some of the features of unit. Among other things the Axis360 can control a camera’s pan & tilt motion. 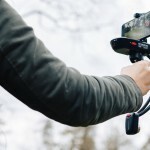 The Axis360 is compact and lightweight, it moves at a wide range of speeds, fluidly or incrementally, and works with most DSLR, mirrorless, and cinema cameras. Although the kickstarter campaign has ended, you can still order the Axis360 from the Cinetics website (pricing starts at $400).